William Bouvy was born on 9 April 1886 in Indiana. Alexander Joseph Bouvy and William Bouvy appeared in the US federal census of 1 June 1900 in Johnson Township, Knox County, Indiana. Also in the household were brothers Joseph (age 26), Peter (20) and Louis (16), and sister Rose (17). He was attending school and working as a farm laborer, according to the 1900 census. 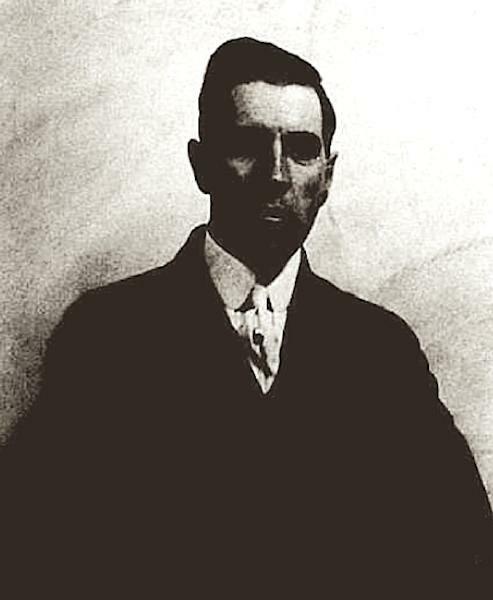 William Bouvy registered for the draft on 7 September 1918 in Knox County, Indiana, while employed as a photographer by Witte Studio in Spartanburg, South Carolina. Permanent address was Vincennes in Knox County, and nearest relative his brother Alexander J. Bouvy in Vincennes. He applied for a passport on 22 January 1919 while living in Buffalo, Erie County, New York. Purpose of the passport was to travel on or about 8 February to Cuba to engage in the photograph business, to return to the US within six months. Passport was issued on 29 January. He married Norma Alberta Hoffman, daughter of Albert John Hoffman and Helen Kammerer, on 17 June 1919 in Niagara Falls, Niagara County, New York, by license issued 11 June, with Rev. Herman Brezing officiating. Other witness was Howard Rieger. The marriage was witnessed by Dorothy Helen Hoffman. He was employed by the refrigerating department of the steam railroad. He was employed as foreman of a fule & ice plant, according to the 1940 census. William Bouvy became a widower at the 4 September 1973 death of his wife Norma Alberta Hoffman. William Bouvy died on 16 February 1975 at age 88 in Columbia, Richland County, South Carolina. The following appeared on 17 February 1975 in The Index-Journal: Other Deaths. Columbia: . . . Rev. William Bouvy. . .